The Exigo Hip Adductor/Abductor Machine provides dual-function targeting the inner and outer thighs. 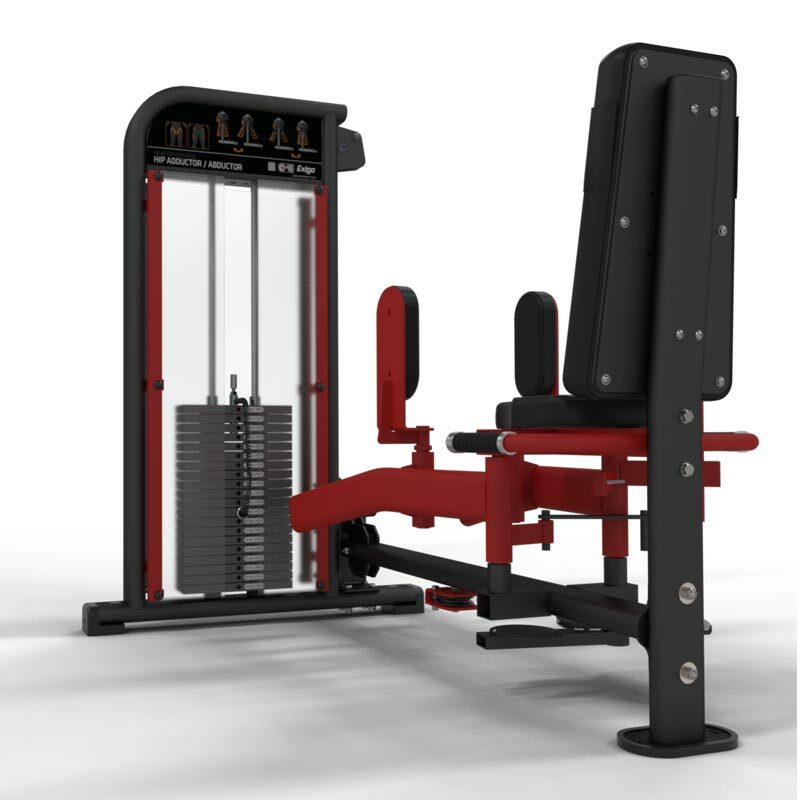 Comfortable and easy to use, this machine isolates both the adductor and abductor allowing you to build strength and increase flexibility. The padded seat and back rest offers additional support and comfort. Ideal for both adductor and abductor isolation. The perfect way to tone the inner and outer thighs, build strength and increase flexibility. Padded seat and back rest offer additional support and comfort. Constructed to withstand the rigours of a busy commercial gym environment. Designed and manufactured in our UK factory. Hard-wearing upholstery and a robust frame. A pleasure to use due to its smooth movement. 100kg stack, instruction plaque highlighting exercise technique and muscle groups targeted. Suitable for any gym, home gym or training facility.